The fact that Spanish is the second language most spoken as a mother tongue is a crucial reason that drives millions of students to undertake the wonderful journey of learning Spanish. This motive is essential, but in TLCdénia we know that the reasons to learn Spanish are much more diverse. We have found, throughout our years of experience, that there is an enormous bond with the language and this is the reason why, every year, students from around the world pack their bags for a stay in Spain combining holidays and an Intensive Spanish course in Spain. It is the destination that moves students to study the language; a good experience in Spain or Latin America feeds the desire to return and learn Spanish. Our city also invokes passion and never leaves anyone indifferent. It is well known that Spanish cuisine is a triumph well beyond its borders and many of our students are not only big fans of the Spanish culture and language, but also its cuisine. This interest is based not only on the pleasure of tasting the dishes of the country, but of learning more about the Spanish food culture. Our diet is world renowned for being so healthy, which is recognized as PATRIMONIO CULTURAL DE LA HUMANIDAD. One of the most common dreams of travelers is to visit the beautiful countries of South America. 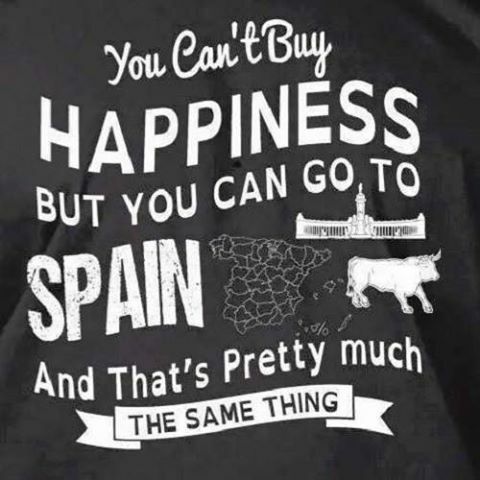 Many Europeans pass through Spain to learn Spanish before embarking on the adventure of touring the South American continent. Students surprisingly, some quite young, speak of their retirement plans; buying a home in Spain and enjoying their golden years here. 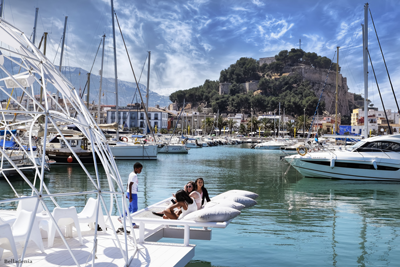 And so it is that Denia, a town with ninety census citizens and nationalities, has become a reality for thousands of retired foreigners. … Or Miguel de Cervantes, Neruda, Becquer, Isabel Allende’s novels, or better understand the world of Dali and Picasso and Gaudi architecture. These artists also drive foreigners to learn Spanish. Literature professors, artists, architects and simple lovers of Spanish or Hispanic art, are tempted to delve deeper into its cultural references getting to know their language. There are many musical styles with the Spanish seal that fascinate non-English speaking people: from the Spanish pop music known worldwide through to the salsa, flamenco and copyrights to the songs. Some students say it was the music that encouraged them to learn the language. It is difficult to know how they perceive our language when they hear non-native people: do they perceive it as a language ?, leisurely pace ?, poetic melodic ?, …? Although it may sound strange this is a real statement and is due to the interest in culture and the Spanish and Hispanic society. They say that we attach great importance to our social life, so we need to be constantly surrounded by family and friends. This social and openness tends to please foreigners. Some of them are fascinated by street life, the Spanish leisure and nightlife and this encourages them to go to the classroom. Not all Spanish sports fans study language, but the success of Spain in sport makes many feel more attracted to the country, if possible. Some students, for example, recognize that their fondness for Spanish football or tennis is such that they travel every year to watch a game in the field and that has led them to learn the language. Spanish is a language in continuous expansion. With about 470 million speakers, it is the third most spoken language in the world with a major presence in America, where more than 85% of Spanish speakers reside. Moreover, the US is the fifth country in the world in number of Spanish speakers behind Mexico, Colombia, Spain and Argentina, and has about 41 million Spanish-speaking people, almost 13% of its population. And you, why do you learn Spanish? Whatever your reason for learning Spanish, I am sure that this precious language will change your life forever.